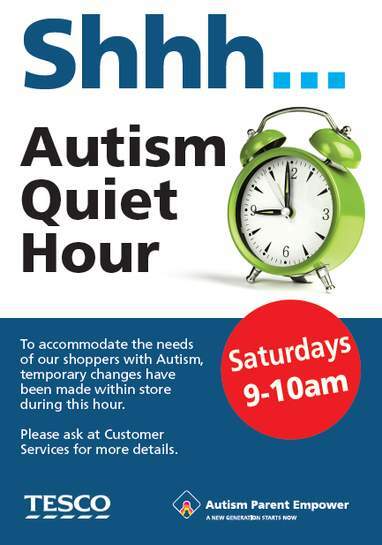 Tesco have teamed up with Jo-Ann D’Costa Manuel the director of Autism Parent Empower to trial an 'Autism Quiet Hour' to try to help anyone with children with autism or additional needs. This will initially be trialled on Saturdays at the Tesco store in Crawley - hopefully more stores will follow their lead now! "Doors at entrance will be left open"
That's not going to go well when an autistic child is overwhelmed & makes a run for it. Probably best to leave the doors to function as normal but have a staff member or two on hand to help out/show how to go in and out. Leaving the doors open constantly is going to mean lots of heat escaping from the store. It may be better to have sessions whereby those on the spectrum can gradually become familiar with the hustle and bustle of a supermarket. Like give a warning that tannoy announcements are going to take place at set times during the visit. Thereby when the individual goes again they are aware that tannoy announcements can happen. Perhaps run small group tours. Although this won't cater for everyone. Excellent to offer staff training too. Overall a good idea and it's probably being done to raise awareness to the general public. ; as environments can be very overwhelming to those on the autistic spectrum. Be interesting to see how this trial goes. We should probably do as much as we can as a society to help all members as best we can. "Doors at entrance will be left open"That's not going to go well when an … "Doors at entrance will be left open"That's not going to go well when an autistic child is overwhelmed & makes a run for it. Probably best to leave the doors to function as normal but have a staff … Probably best to leave the doors to function as normal but have a staff member or two on hand to help out/show how to go in and out. Leaving the doors open constantly is going to mean lots of heat escaping from the store.It may be better to have sessions whereby those on the spectrum can gradually become familiar with the hustle and bustle of a supermarket. Like give a warning that tannoy announcements are going to take place at set times during the visit. Thereby when the individual goes again they are aware that tannoy announcements can happen.Perhaps run small group tours. Although this won't cater for everyone.Excellent to offer staff training too.Overall a good idea and it's probably being done to raise awareness to the general public. ; as environments can be very overwhelming to those on the autistic spectrum. Indeed &, without dismissing what the store is trying to achieve, because the designed time (9am-10am) is not solely for children/parents directly affected by autism, the "general" public will still interact with the kids to some degree, & this may result in negative experiences considered to be a failure of the incentive (when so many factors are outside of the control of the store staff). The suggestion of small group tours is a good one, thetarget. One possible issue is getting those with autism to go at that time if it isn't part of their normal schedule. Some planning is needed by family/carers to give lots of notice to the children and keep reminding them. Of course this depends on the individual as many may already be rather familiar with shopping environments. Even so the experience should be a little easier with the steps being taken by the supermarket. yup we must pander to those with issues. and before anyone gets all offended, in on the spectrum myself. 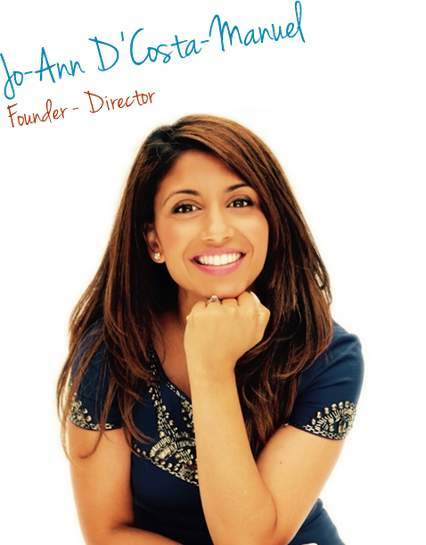 "Jo-Ann has partnered with the Tesco Extra in Crawley to trial the first Quiet Hour on Saturday 21st January between 9am-10am continuing every Saturday thereafter." yup we must pander to those with issues.how about parents just get their … yup we must pander to those with issues.how about parents just get their shopping delivered instead of expecting people to bend over backwards for themand before anyone gets all offended, in on the spectrum myself. Whilst I appreciate your honesty and openness, I have felt compelled to write a response as a teacher of pupils with Autism. I value the opportunity, for those who need it, to experience a shopping environment that will gradually ease them into the harsh realities of what a busy supermarket environment is really like and the sensory overload that it creates. It is not about pandering or asking parents to do their shopping online it is about accepting the differences of each and every person and realising that adults and young people with autism, or indeed any other need, may appreciate the opportunity for independence and shopping in a more peaceful environment. Well done Tesco, I will be sharing this with parents tomorrow! Whilst I appreciate your honesty and openness, I have felt compelled to … Whilst I appreciate your honesty and openness, I have felt compelled to write a response as a teacher of pupils with Autism. I value the opportunity, for those who need it, to experience a shopping environment that will gradually ease them into the harsh realities of what a busy supermarket environment is really like and the sensory overload that it creates. It is not about pandering or asking parents to do their shopping online it is about accepting the differences of each and every person and realising that adults and young people with autism, or indeed any other need, may appreciate the opportunity for independence and shopping in a more peaceful environment. Well done Tesco, I will be sharing this with parents tomorrow! of course it's pandering, it's changing other peoples experience for the select few, it's the very definition of pandering to a minority. should all labels be changed to french / spanish / german etc depending on the make up of your local community and to appease the 10 German people who live there? should everything be in brail for the few blind people that shop there? of course it's pandering, it's changing other peoples experience for the … of course it's pandering, it's changing other peoples experience for the select few, it's the very definition of pandering to a minority. ...just like how supermarket home delivery started; pandering to the minority until it becomes accepted by the majority. defintion of pander: to gratify or indulge (an immoral or distasteful desire or taste or a person with such a desire or taste). I wouldn't exactly call it indulgence- being able to shop without going into crisis! But that's what a compassionate society does - we make exceptions and allowances for those who need a little help. It's called empathy. You clearly understand that because you actually tell us you're on the spectrum, so that we will make allowances for you. If you hadn't said that then some might attack you for being less than compassionate, but because you've said it then people will take a different view. One hour out of a week to make someone else's life a tiny bit easier is not a hardship. It's the bare minimum. WAIIITTTTT....my local 24/7 Tescos is as quiet as a graveyard by 23:00 usually, just like autism hour! Why should parents be forced to shop online when online u do not get the same as you would in store people need to be more aware of autism and consider people with and people dealing with autism on a daily basis it's not about bending over backwards it's about helping people live as much of a normal life and the right to do day to day things as anyone one else. More understanding security guards would be nice at Tesco, I had to leave the store as my teenager had his hood up but face was in full view unlike some shoppers who had their faces covered and were allowed to go around the shop like that because of their religion. But that's what a compassionate society does - we make exceptions and … But that's what a compassionate society does - we make exceptions and allowances for those who need a little help. It's called empathy.You clearly understand that because you actually tell us you're on the spectrum, so that we will make allowances for you. If you hadn't said that then some might attack you for being less than compassionate, but because you've said it then people will take a different view.One hour out of a week to make someone else's life a tiny bit easier is not a hardship. It's the bare minimum. why does be being on the spectrum mean people wont attack my views? does this not say a lot more about the person who wishes to do the attacking than it says about me. They will happily attack someone with this view, but not if they say they are one of these people such allowances are being made for. Christ, what is wrong with people? are their morals so fluid that they wont state their true feelings? Why should parents be forced to shop online when online u do not get the … Why should parents be forced to shop online when online u do not get the same as you would in store people need to be more aware of autism and consider people with and people dealing with autism on a daily basis it's not about bending over backwards it's about helping people live as much of a normal life and the right to do day to day things as anyone one else. how are they forced to do shopping online? who's forcing them to do that? I don't see anyone holding a gun to someones head. what if I visit the store and the shelf of cheese is empty? am I expected to wait an hour until it's restocked? if I ask a staff member will they be allowed to fetch me some cheese? what if I have a trolley with a squeaky wheel, will I be banished form the store for daring to push a trolley around in front of an autistic person? what if i'm partially sighted and need to use a reader to help me find what I want, will I have to turn the volume off and leave myself stranded in the store during this hour? what if my son / daughter gets separated in the store, will they be allowed to have a tanoy announcement or will they have to go around the store and pre-warn anyone that may be with an autistic person that there will be a tannoy announcement. It is only one store, for one hour, of one week (if the trial is not successful). If the trial is successful, then it may be one hour of proceeding Saturdays at that single store. If you don't visit that one store (at that time), then don't worry about it. I am sure the Tesco Management have picked the busiest time of the week to inconvenience the most number of people (staff & punters). Oh, wait, no, they've probably considered all this already! what if I visit the store and the shelf of cheese is empty? am I expected … what if I visit the store and the shelf of cheese is empty? am I expected to wait an hour until it's restocked? if I ask a staff member will they be allowed to fetch me some cheese? what if I have a trolley with a squeaky wheel, will I be banished form the store for daring to push a trolley around in front of an autistic person? what if i'm partially sighted and need to use a reader to help me find what I want, will I have to turn the volume off and leave myself stranded in the store during this hour? what if my son / daughter gets separated in the store, will they be allowed to have a tanoy announcement or will they have to go around the store and pre-warn anyone that may be with an autistic person that there will be a tannoy announcement. If it bothers you that much, & you really must be in Tesco at Crawley between 9am & 10am this coming Saturday, may I suggest you go to ASDA, or any of the other supermarkets in the area, instead? May I suggest you research traits of an autistic individual, then re-read eset12345's last sentence again? Either too much or too little empathy is probably in effect here. Being a mother to 2 autistic adults now. Shopping is not always pleasant experience it's also part of daily living skills that these people need. Sensory overload can be very frightening for someone with autism. Personally the more help and support offered to help with daily tasks the better. It's an interesting idea, I'm just wondering how they chose the hour to which it will apply and what they will do with any issues that occur. I guess we will see. It's an interesting idea, I'm just wondering how they chose the hour to … It's an interesting idea, I'm just wondering how they chose the hour to which it will apply and what they will do with any issues that occur. I guess we will see. As an adult with autism everyone is different, I like the tvs on, hearing staff announcements and music even more so as a single shopper as it keeps brain active, to have total silence can be depressing as it leaves you to your thoughts which can be worse if you are by yourself just as dim lights would make me sleepy even more so with no noise to stimulate me. And staff to help me pack would seem patronising. As an adult with autism everyone is different, I like the tvs on, hearing … As an adult with autism everyone is different, I like the tvs on, hearing staff announcements and music even more so as a single shopper as it keeps brain active, to have total silence can be depressing as it leaves you to your thoughts which can be worse if you are by yourself just as dim lights would make me sleepy even more so with no noise to stimulate me.And staff to help me pack would seem patronising. It is easier to use a portable music player (or mobile telephone, or whatever) to provide sound if you need it than wearing ear-defenders/a noise-cancelling headset to remove/lessen the overwhelming background noise. The effects of supermarket interior lighting cannot be controlled without wearing corrective lenses either, so that is a good move for those that need it. Staff offer to help everybody pack their bag(s) at any time of the day. Please don't be offended if you feel you can manage for yourself. Some (on the Spectrum, or otherwise) may not be able to ask for the help, & a queue of people becoming more agitated watching the head of the queue struggling will make matters worse for that individual. It is easier to use a portable music player (or mobile telephone, or … It is easier to use a portable music player (or mobile telephone, or whatever) to provide sound if you need it than wearing ear-defenders/a noise-cancelling headset to remove/lessen the overwhelming background noise.The effects of supermarket interior lighting cannot be controlled without wearing corrective lenses either, so that is a good move for those that need it.Staff offer to help everybody pack their bag(s) at any time of the day. Please don't be offended if you feel you can manage for yourself. Some (on the Spectrum, or otherwise) may not be able to ask for the help, & a queue of people becoming more agitated watching the head of the queue struggling will make matters worse for that individual. And as everyone with autism is different many I know from local clubs have the opposite effect, having headphones on counts as sensory depridation so freaks people out like myself, portable music doesn't register unless its isolated and even then as so weak it often has the opposite of intended effect. Its not offering to pack as assuming if I was autistic or seem different assuming I need help packing, if anything with autism means I must pack things in the way I want and don't want others helping. I would buy corrective lenses myself but they are so much more expensive plus like I say if it switches to dark for me I will feel sleepy. And is it easier to carry when you have a bag full of things just to do everyday tasks? when I travel I have things prepared for every eventuality meaning a excessive heavy backpack which can make me more anxious. Again you get people with autism of which I know a few mostly adults of course that like everything, from a tablet, portable games console, chargers just in case, often seperate media players such as mp3 player, multiple pairs of glasses etc just to do everyday tasks.. Imagine all these things as a single person, then added with in the past I have had security follow me in supermarket as they thought I looked strange in shops, especially in my teen years slight side topic but I say it as people thought I wasn't acting "normal" as I get anxious in a shop as is. And as everyone with autism is different many I know from local clubs … And as everyone with autism is different many I know from local clubs have the opposite effect, having headphones on counts as sensory depridation so freaks people out like myself, portable music doesn't register unless its isolated and even then as so weak it often has the opposite of intended effect. If "everybody is different" then there is a wide range between two extremes; so if you feel that Tesco are not addressing your specific needs, there may be hundreds where there is overlap that disagree with you. Its not offering to pack as assuming if I was autistic or seem different … Its not offering to pack as assuming if I was autistic or seem different assuming I need help packing, if anything with autism means I must pack things in the way I want and don't want others helping. Then just politely decline. I always do, & all the till operators accept this response. I would buy corrective lenses myself but they are so much more expensive … I would buy corrective lenses myself but they are so much more expensive plus like I say if it switches to dark for me I will feel sleepy. Perhaps you should seek a professional medical opinion on the possibility of a visual stress disorder. And is it easier to carry when you have a bag full of things just to do … And is it easier to carry when you have a bag full of things just to do everyday tasks? when I travel I have things prepared for every eventuality meaning a excessive heavy backpack which can make me more anxious. If it is too heavy to carry conformably, then use two bags. You are no different than those suffering with obsessive compulsive behaviours. If you can recognise the behaviour, however, you can appreciate why you make these decisions. ...then added with in the past I have had security follow me in … ...then added with in the past I have had security follow me in supermarket as they thought I looked strange in shops, especially in my teen years slight side topic but I say it as people thought I wasn't acting "normal" as I get anxious in a shop as is. The acknowledgement of the Autistic Spectrum is more widespread now, & your treatment during your teenage years was just a lack of understanding/education. And hundreds that would agree with me thats the point, it seems your responses seem catered to specifically one side though. I have friends who dislike loud cinemas and cinemas now have autistic friendly screenings, I myself in everything like to find the balance, not too loud not too quiet, dim lights as I say make me sleep, just as bright lights keep me alert its why at bedtime I use blackout curtains as little light affects my sleep, and when awake as much light as possible to point I like this time of year where light shines in my face as it makes me more alert than summertime. I never said carrying the items were heavy though it can be but its the awkwardness, if its seen my and many others autism is not relevant so we have to carry loads of items to compensate it defeats the purpose of catering to autistic individuals as it will be all on one side, so for this case it would be far more stressful to go to Tesco in the autistic friendly time frame than normal time frame as it would be for many of my friends with similar symptoms and as I have to use publc transport it would mean if I went shopping it would be very awkward to carry all of it no matter how many bags I had, and again as a single person, autistic kids have parents or carers often to help them but a single adult has to survive on their own. About the packing its not about accepting or declining its the assumption that because I am different I need help. What I tend to notice is of course kids are the ones that freak out more, just as non autistic kids freak out, adults have come to accept certain things about their condition and much of time time unless they have severe autism control their behaviour but still have random bursts of what people would think is disruptive or strange.. I do have depression, it only started in my mid twenties after a family members death, before that I used to jog on the spot and star jump and make whooping sounds when excited, not like a child does and often not at yelling volume but more like on a buzz, even when walking to college/uni I would walk,then jog, then walk, then run, then walk all in random bursts, in fact I even did this for corner shop. I do have diagnosed autism/aspergers but was only diagnosed 5 years ago, at school I was just called slow. Even in recent years though I have done things like been stalked around shops by security guard and stopped because they thought I looked suspicious, I rarely get into bars and clubs as they think I look drunk when I haven't touched a drop or my body language looks strange. I have been into a bar and sat down and innocently looking in front of me and had people normally women come up to me and scream that I am a pervert and eyeing them up when I didn't even see them I would of been looking at wall, or bar, or even front door waiting for a friend then told variations of someone who looks like me (inferring strange or outright saying it) is creepy and desperate so looks at people. Little side tracked again but despite ASD's meant to be better seen these days it rarely is outside of professional enviroment, worse is when I have been called strange or weird by people at college training to be teachers or social workers! And hundreds that would agree with me thats the point, it seems your … And hundreds that would agree with me thats the point, it seems your responses seem catered to specifically one side though. No; just showing you that your side is not the only one. I have friends who dislike loud cinemas and cinemas now have autistic … I have friends who dislike loud cinemas and cinemas now have autistic friendly screenings, I myself in everything like to find the balance, not too loud not too quiet, dim lights as I say make me sleep, just as bright lights keep me alert its why at bedtime I use blackout curtains as little light affects my sleep, and when awake as much light as possible to point I like this time of year where light shines in my face as it makes me more alert than summertime. Some on the Spectrum may find it difficult to sleep or can stay awake for longer than others, often going without sleep for days. Err... you said "heavy backpack". If it is just the backpack that is heavy, use a lighter one! I like the Osprey range if that helps. ... though it can be but its the awkwardness, if its seen my and many … ... though it can be but its the awkwardness, if its seen my and many others autism is not relevant so we have to carry loads of items to compensate it defeats the purpose of catering to autistic individuals as it will be all on one side, so for this case it would be far more stressful to go to Tesco in the autistic friendly time frame than normal time frame as it would be for many of my friends with similar symptoms and as I have to use publc transport it would mean if I went shopping it would be very awkward to carry all of it no matter how many bags I had, and again as a single person, autistic kids have parents or carers often to help them but a single adult has to survive on their own. It seems you think that kids with their parents carry items on request. Depending on the age of the children, they demand so much more items to carry (& all by the adults). Warning: Having children is not going to resolve your problem with carrying too many things. Far from it! I think you are generalising the attitudes of those workers by feeling isolating in social environments. Also, everybody deserves time off after their normal workday has concluded. About the packing its not about accepting or declining its the assumption … About the packing its not about accepting or declining its the assumption that because I am different I need help. Surely that is better than assuming you don't need any help at all. Do you not agree? What I tend to notice is of course kids are the ones that freak out more, … What I tend to notice is of course kids are the ones that freak out more, just as non autistic kids freak out, adults have come to accept certain things about their condition and much of time time unless they have severe autism control their behaviour but still have random bursts of what people would think is disruptive or strange. I do have depression, it only started in my mid twenties after a family … I do have depression, it only started in my mid twenties after a family members death, before that I used to jog on the spot and star jump and make whooping sounds when excited, not like a child does and often not at yelling volume but more like on a buzz, even when walking to college/uni I would walk,then jog, then walk, then run, then walk all in random bursts, in fact I even did this for corner shop. Do you pursue any sporting/physical activities now; in social environments or otherwise? This may help with coping with stressful days by allowing you to vent your frustration for an hour or so. Again, if you wish for a recommendation; martial arts (with children/adults with your diagnosis, amongst other conditions) is where I have experience. I do have diagnosed autism/aspergers but was only diagnosed 5 years ago, … I do have diagnosed autism/aspergers but was only diagnosed 5 years ago, at school I was just called slow.Even in recent years though I have done things like been stalked around shops by security guard and stopped because they thought I looked suspicious, I rarely get into bars and clubs as they think I look drunk when I haven't touched a drop or my body language looks strange.I have been into a bar and sat down and innocently looking in front of me and had people normally women come up to me and scream that I am a pervert and eyeing them up when I didn't even see them I would of been looking at wall, or bar, or even front door waiting for a friend then told variations of someone who looks like me (inferring strange or outright saying it) is creepy and desperate so looks at people. If you wish to increase your chances of meeting a partner, for life, of for any amount of time, perhaps a bar or a club is not the best starting point. If anything, wouldn't those environments cause you issues with audible & visual stimuli? Most are dark environments, & doesn't that make you sleepy? Little side tracked again but despite ASD's meant to be better seen these … Little side tracked again but despite ASD's meant to be better seen these days it rarely is outside of professional enviroment, worse is when I have been called strange or weird by people at college training to be teachers or social workers! ...and now you have a formal diagnosis, have you spoken with those same people (presuming they have qualified & have more experience in their chosen profession)? PS. You told me more than five years ago that you were on the Spectrum. Sorry, I didn't realise it was not a fairly recent discovery. I thought you had been diagnosed (much) earlier. But I already knew and acknowledged to myself that everyone is different that was one of the points I was trying to make, its not a one size fits all thing which is why later I mentioned kids reacting different to adults on the spectrum or not. My sleep pattern before the fallout from depression (which is a chicken and egg situation) was I always got a solid 8 hours sleep a day, I could force myself to have less and function lets say I had a holiday with parents booked with a 6am start but I wouldn't be all there. Yes as you can tell thats a autism thing writing a lot like that. With me I want and crave sleep its my body reverses what it desires, daytime I want to sleep and in fact could put head down and sleep instant, nighttime even if I have been awake 24 hours on 2 hours sleep I don't want to sleep but thats a thing that has only been that way since the depression kicked in 12 years ago and been bad for 9 years and getting worse year by year, the second my head is down no matter if I had 18 hours sleep day before or 1 hour I struggle to get out of bed again unless of course again its nighttime andI could be awake 24 hours on 2 hours sleep, get a 1 hour sleep and brain tells me to wake up, its insomnia mixed with when I do sleep I can't wake. I meant heavy backpack as to mean it puts quite a bit of weight automatically onto you which myself and many other autistic individuals I know carry on a backpack (some with a laptop style carrier) I carry a gaming laptop backpack that has many sections and I carry shopping in it. I know about kids as seen so many in stores over the years and in public, but I meant mine to mean a kid with ASD's will have parents on standby with things needed and likely with kids often have something like a car, or friends and family to travel around with kids, a single adult has none of this I wish something was done to help ASD people in situations like when parents assume kids should be rushed to front of queues, or priority seats on buses just because they are kids, when autistic adults can be stressed over this as they planned things like queue size and getting a seat on bus. About the worker thing its something I really have noticed, even back when I was at school people intending to train as teachers, carers etc were the first to make fun of anyone different inferring them to be slow or weird, it has continued onto adult life when in public I can be sitting down in shopping centre and see people of all ages, student age are the worse though walk past me or other people who look "different" and make fun of them often to our faces, I never know whom to be the most insulted by, them or the ones in late 20's + who flash the latest gadgets and talk about injustices in the world then make fun of people they find different in seperate conversations so to them its a tick box exercise about morals and coming across as good people. I don't mind being asked if I need help as much as assumed as I seem "different" to be believed I need help, I just broke my hand and I don't mind in fact see it as a good thing people wanting to help as they can tell I struggle. The problem with my lifestyle right now is I am in a bad loop, no structure and when I try and change it I fail, breaking my hand gave me focus until last 2 weeks when I feel dizzy from medication, for first 3 weeks I was up 8am-10am most mornings and in bed by 11pm and often barely able to stay alseep after 6am then it slipped back when medicaton changed, and when medication changed again thats when I feel exhausted all time, I enjoy most things but never do them as it feels like a chore, even going back to gym though I am paranoid and anxious there too due to me being obese and have had comments in past when I was slimmer about my apperance, I need structure but I also need to not feel forced to go at set time every week and that I can enjoy something else as if I miss one appointment I feel like I have lost out, if I go I may be exhausted and lost out on something a friend recommended. I don't drink anymore due to combination of the come down effect, and anxiety over people around me, I was never a heavy drinker but in early 20s went out a few times a month, now I am paranoid and anxious as its mostly 16-25 year olds, and the rare chance I have been out I have been rejected from pubs and clubs due to not being the crowd it wants so forced to go to expensive bars full of people far older than me so don't bother, with the darkness as theres heavy lighting in booths it helps though after a hour or two I switch off, even during the day if I walk into a bar then go outside even if I just had a soft drink I feel dizzy and sleepy the second I leave. I was only diagnosed officially 5 years ago but was originally recommended to get diagnosis 9 years ago but took years to get it done on NHS, and 17 years ago was told to get assessed for ADD but waiting list was 2 years so moved away for work. ... why the hell would you say that!?! What is wrong with you?!? Are you trying to be nice be failing drastically? Or are you just plain rude!?! For me as someone diagnosed with autism, that is downright offensive! If an autistic child/person runs out of the shop- they are not just "making a run for it" we autistic people cannot communicate how we feel to others, we don't know how to, this world is confusing enough for us, without the narrow minded scumbags such as yourself needing to judge and undermine us...have some consideration will you!?! ... why the hell would you say that!?! What is wrong with you?!? Are you … ... why the hell would you say that!?! What is wrong with you?!? Are you trying to be nice be failing drastically? Or are you just plain rude!?! For me as someone diagnosed with autism, that is downright offensive! If an autistic child/person runs out of the shop- they are not just "making a run for it" we autistic people cannot communicate how we feel to others, we don't know how to, this world is confusing enough for us, without the narrow minded scumbags such as yourself needing to judge and undermine us...have some consideration will you!?! Nothing is wrong with him, he just has a functioning sense of humour. Your punctuation is probably as offensive to fanpages as that joke was to you. He's a niggler for that kind of thing. I assume some sort of advice and assistance on dealing with people making jokes is available for those on the spectrum in your area. ... why the hell would you say that!?! Good grief; how long have you got? We may be here a while. Are you trying to be nice be failing drastically? Or are you just plain … Are you trying to be nice be failing drastically? Or are you just plain rude!?! I can be both, one, or the other, or neither, depending on circumstances (especially based on the response from others). On this occasion is was neither. I was being realistic. For me as someone diagnosed with autism, that is downright offensive! It wasn't meant to be. I sincerely apologise if you took my response as anything other than that which I had intended. I presume I have only offended you, & not the entire population on the spectrum. If an autistic child/person runs out of the shop- they are not just … If an autistic child/person runs out of the shop- they are not just "making a run for it" we autistic people cannot communicate how we feel to others, we don't know how to, this world is confusing enough for us, without the narrow minded scumbags such as yourself needing to judge and undermine us...have some consideration will you!?! You seem to be communicating quite well now. For the record: I have lots of experience with individuals on the autistic spectrum (children & adults). Communication & social situations are problematic; I agree. However, I have seen children "make a run for the door" when the environment is overwhelming for them. I was speaking from experience. I do not find it offensive that you think otherwise.